Computers are supposed to make our lives easier, but too much of the time they can be frustrating, time-wasting, stubborn machines. 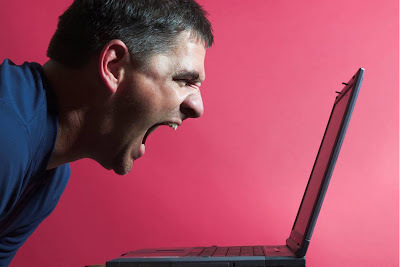 From the irritating "Access Denied" message when you can't remember your 147th password, to all the useless email that clutters your inbox, to IT lockdown restrictions that keep you from getting your job done, let's take a look at 10 of the more common gripes amongst computer users and our humble suggestions for fixing them. 10. Dashboard widgets (OS X). If you've got a newer or high-powered Mac that never seems to drag, then your Dashboard widgets are probably just a dandy little convenience. But those lacking memory or just sick of accidentally hitting F12 and getting their screen taken over by Dashboard could use a little help. If you just want to make the widgets go away for one session, you can install the simple Dashquit widget or use these terminal commands for the job. Killing multiple widgets, like those iterations that pop up from delivery trackers, is easier if you hold the Option key. And those looking for leaner, cleaner Dashboard can speed it up with some cache cleaning. And if you're really only hitting F12 for a single widget, try pulling it onto the desktop. Yes, yes—the "duh" answer is "use Firefox to save your passwords," but even the mighty 'fox can be used more securely, and made to remember any password. For your other data, including login and encryption tools, you could try an easy universal password system, a randomizer like Diceware, or other tools like Strong Password Generator or the Password Chart. It beats trying to remember which combination of Simpsons character and three-digit number you used for that rarely-updated social network. 8. Google search result links are indirect, awkward, and too long to copy. 7. Hours spent re-installing Windows XP (or Vista). It's usually only 20-30 minutes from slipping in that holographic XP or Vista CD/DVD to arriving at your new-car-fresh desktop, but it's often a few hours' work getting everything customized, updated, and tweaked to your liking. With the nLite tool for XP, or vLite for Vista, you can skip a ton of clicking and pop-up answering during installation and first boot-up—in the case of nLite, pretty much all of it. Here's a guide to slipstreaming XP Service Pack 3 into a new, automated installation CD, and the Digital Inspiration blog has a similar walk-through of vLite for Vista. nLite's also a great tool for creating a stripped-down, speedier XP for virtualization or older machines. 6. Windows Vista, in general. We really don't mean to rag on Windows in this list—in fact, let's admit that Windows Vista isn't as bad as one would believe from the common blog or news post. It does, however, have some quirks that can quickly nip at your last nerves. Luckily, fellow tech enthusiast and blogger The How-To Geek did us a solid by writing up 10 ways to make Windows Vista less annoying, each with a link to a detailed explanation over at his own site. Before you feel compelled to say it in the comments—yes, "Install XP on Your Vista Computer" is one of the tips. 5. RE: Fwd: Fwd: Email (and time-wasting email in general). There are tons of tools to improve your own productivity and stop wasting time on useless stuff—but not everybody got the memo, as you might notice from your inbox. Your best options for dealing with chain forwards, repetitive conversations, and other email gaffes are smart filters, including a fwd filter for those "Did you know" emails from Aunt Margie and Uncle Bif. Correspondents just not getting the message? Take the next step with an explanatory email etiquette page. Need proof that wasteful messages are eating up your time? Gmail/Google Apps users can take a detailed look at the waste with Mail Trends. 4. File copying freezes and awkwardness (Windows). You've got the entire run of "The Wire" in a 20 GB folder, and you've set it up to transfer to your external hard drive while you're at the movies. You get home, flick the monitor on, and ... well, Windows just gave up at some point, and you're ready to toss your keyboard. Free Windows add-on TeraCopy is exactly what you need. It makes file transfers faster, more consistent, and it provides realistic job times and status reports. You'll hardly notice it's there—which is just about perfect. You can understand why the tech gurus at work don't let those people install apps willy-nilly, change system settings, or check out certain web sites. You, however, are tech-savvy, responsible, and just need to IM this one client, for Pete's sake. We know your pain, and, luckily, Gina's assembled a guide to surviving IT lockdown that should get you around most IT restrictions. If you're all but chained to the default Internet Explorer and long for Firefox, you can still get some of its best features. Photo by cell105. Until a stable, easy-to-install Flux capacitor is available, you won't be able to go back in time and prevent your relatives, co-workers and goofy-humored friends from sending that "hilarious" 10 MB PowerPoint "joke." You can, however, mitigate the annoyance and damage done to your inbox. The best suggestion we've got for any nearly any account is to create a Gmail account to manage your other mail. That way, you can jump in and check your important messages, while your dedicated mail client is frozen trying to grab that huge file. You can then use tools like Gmail Drive (Windows), gDisk (Mac OS X), and GmailFS (Linux) to clear space-hogging attachments from your email accounts. Or you can just simply filter and kill giant attachments with Gmail's advanced search-and-filter tools. If you're stuck with big attachments in Outlook, there are ways of extracting attachments without having to open the actual email, using Outlook Attachment Remover or this simple trick described by the Digital Inspiration blog. The real solution? Get your friends or relatives a copy of Picasa or another photo manager that auto-magically shrinks pictures before sending. For every other file type, there's just courteous, unsolicited tech support emails. 1. All that crappy "default" software. Whether you're unpacking a new PC, helping out a friend, or sitting down at a new office system, you're more than likely going to find some, as Gina puts it, sucktackular software on there. Seriously, now—RealPlayer? Pop-ups asking to renew Norton/McAfee/Symantec? Limewire, for crying out loud? We've rounded up the free, and superior, alternatives to those persistent programs, and many of our suggestions are cross-platform, open source, and do a better job than the system-dragging softs you find in the wilds of computing. We've covered lots and lots of other annoyances, computer-based and not, during Lifehacker's run, and we're sure you've got your own software tweaks you just couldn't take anymore. What irksome issues did you have to get rid of, and how did you do it? What irreplaceable software smooths out your desktop? Hop on the couch and share the pain in the comments.